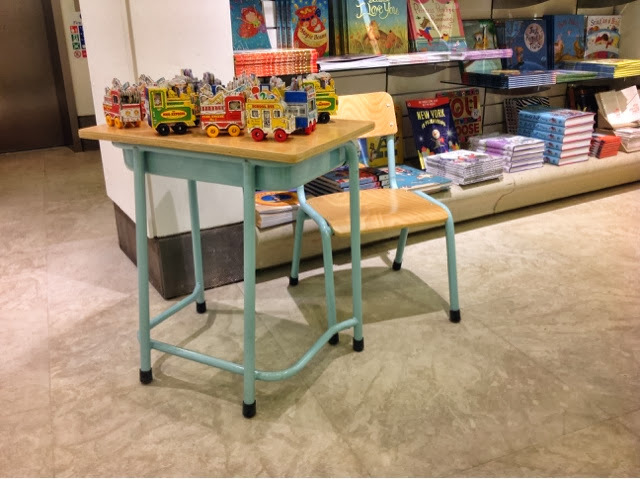 Fenwicks kids floor in the basement of the Bond street store is just too good. The buying is genius. Clothes and toys all rockin. Needs a visit by all. 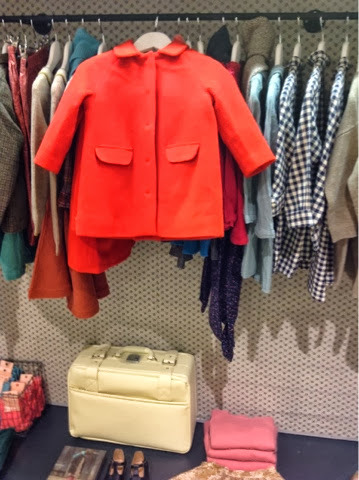 Would quite like to drink some Alice in Wonderland magic to fit into this gorgeous Caramel Baby & Child coat. Too nice. I'll take the suitcase too. They also have it in a pale dust pink. 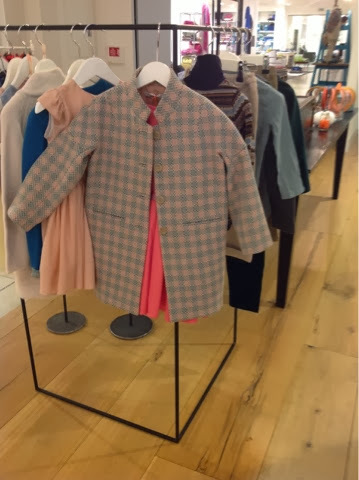 Across the road and over a little bit, in Selfridges also spotted these two coats for little girls. Both rather gorgeous. 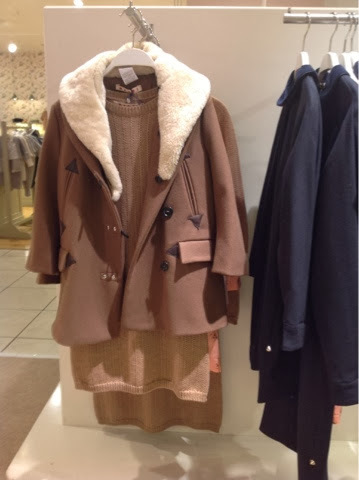 Caramel Baby & Child, do another good coat with check shorts to match also. Tres Bon Rodney. 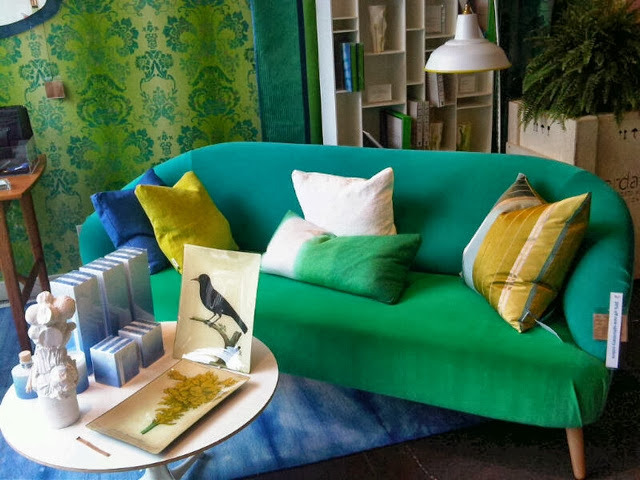 Further up the road, Designers Guild on Marylebone High Street is just gorgeous at the moment. Well it always is, but in this damp, cold, grey weather we need it more. This sofa me wants but shoe box sadly can't fit. To dream. Luxury dress label designed by stylist Ellie Lines and manufactured in London.